One word summary for the book- Empowering. Working 31 “Belief Codes” through the book Gregg gives us many new ways to look at our own beliefs. A “Baskin-Robbin’s 31 flavors” for some yummy consciousness treats. I almost needed that many highliters as well, as I read through the book. It’s full of scientific concepts that will create additional thoughts and nourishment for the empowering of your life, and maybe a new generation. Some really interesting and fresh looks at subjects such as computer simulated universes, holograms, subconscious and conscious, memories, belief-waves and of course Beliefs. 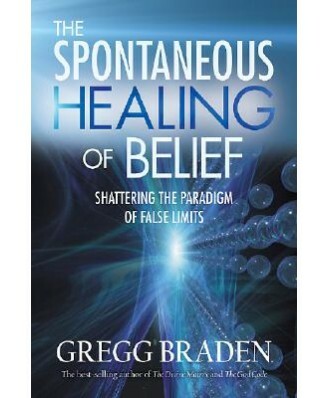 Gregg gives us lots of ideas, research and theories to support leaving our old ways of thinking, and to harness our Beliefs to create a new universe. Don’t be fooled by the title, it is not merely about a physical healing of discomfort, but about any ways in which your beliefs may be holding you separate from the Greater You. A Judgement is usually what holds a relationship in place, for better or for worse. Change the judgement and the relationship will change as well. Belief is pure power. Look for and recognize its power and use it. Spontaneous Healing shows us WHY and even HOW to re-write the coding for the computer program that is our life. We can use our Belief as code and our intentional focus to build the changes we want to be, and to see. Look at these 31 Belief Codes to enjoy a challenge every day to raise yourself and the universe in a new direction. Allow your Beliefs to lift you beyond your false limits! This entry was posted in Book Reviews and tagged Beliefs, Computer Simulation, Gregg Braden, Power of Positive Thought, The Spontaneous Healing of Belief, Universe as a Hologram by MomentumMikey. Bookmark the permalink.